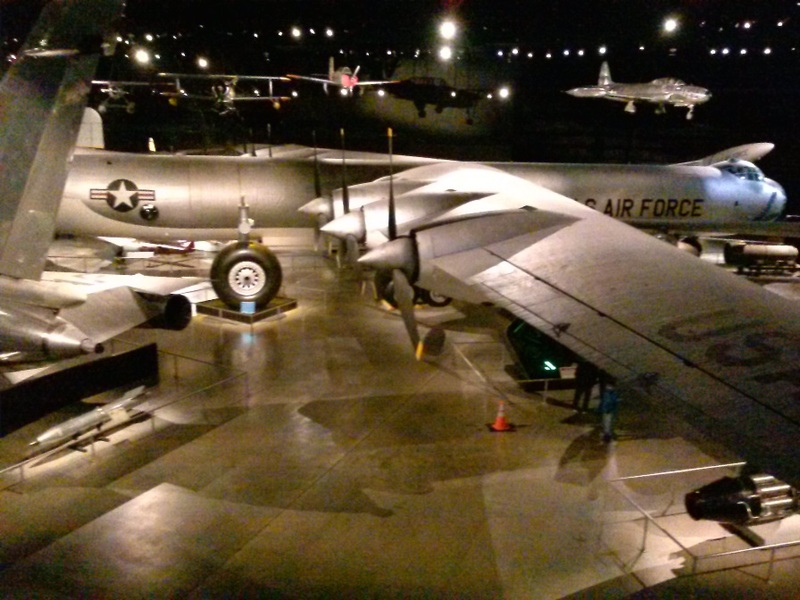 On a recent trip to Ohio, my friend John and I spent a day and a half in the National Museum of the U.S. Air Force, on Wright-Patterson AFB, Dayton, Ohio. With more than 360 aircraft and thousands of photos, documents, and associated items (engines, uniforms, tools, and other historic artifacts), it would take days to fully explore the contents of the entire museum. The museum has many rare, historically or technologically significant aircraft, many of which can be seen nowhere else. For example, the museum houses the only surviving XB-70 Valkyrie, one of four surviving Convair B-36s, and Bockscar—the B-29 Superfortress that dropped an atomic bomb on Nagasaki during the last days of World War II. The museum collection is housed in a huge, modern facility with 17 acres of covered display space. Two additional collections, the Presidential aircraft and Research and Development aircraft are currently located in a hanger on the air base. Access to this collection is by bus from the main museum. In 2015-2016, these collections will be moved to a new soon-to-be-completed section of the museum proper. The museum is organized into distinct exhibits, each within a dedicated area. The exhibits include Early Years Gallery, World War II Gallery, Korean War Gallery, Southeast Asia War Gallery, Cold War Gallery, Missile & Space Gallery, Presidential Gallery, and the Research & Development Gallery. 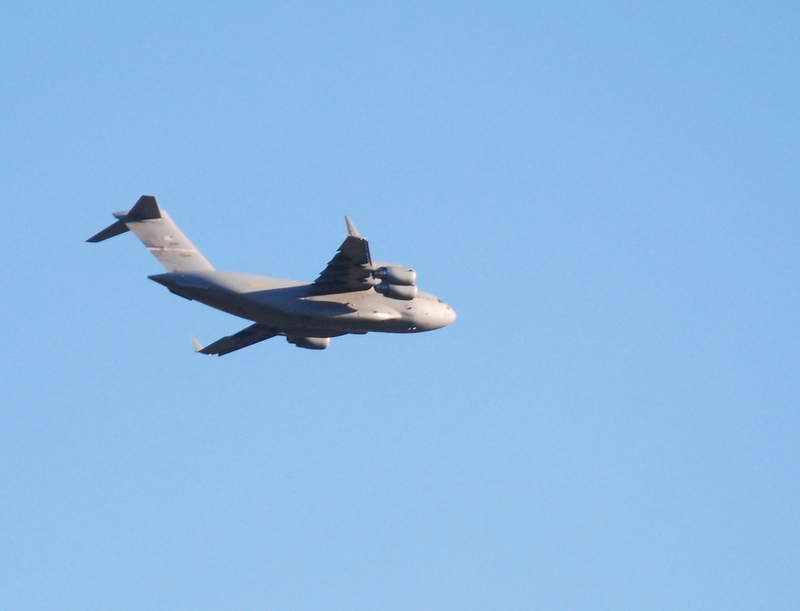 Additionally, there is an outside area of larger aircraft including the C-17 Globemaster III and a Memorial Park. Not Just an Airplane Museum – A National History Lesson. Boeing C-17 Globemaster III flying out of Wright Patterson AFB. There are far too many aircraft and too many displays for this blog to adequately describe, consequently, I have chosen one aircraft and one collection to represent our experience at the museum. Note: in an earlier posting, I described the Presidential Gallery. There are also examples of some international aircraft such as the MiG-15 and MiG-17 and other aircraft that U.S. aircraft encountered during the 20th Century. An airplane does not have to be big to be interesting, but it helps. With a wing span of 236 feet (sitting on the 50-yard line, the wings would stretch nearly from one 10-yard line to the other on a football field!) and a length of 162 feet, the Convair B-36 Peacemaker has always fascinated me. 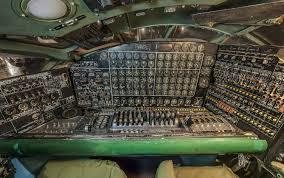 The B-36 is an engineering marvel. Consider just the aircraft’s engines. First it was powered by 28-cylinder radial engines with four rows of seven cylinders arranged in circles around the crankshaft. And there were six of these 28-cylinder power plants. 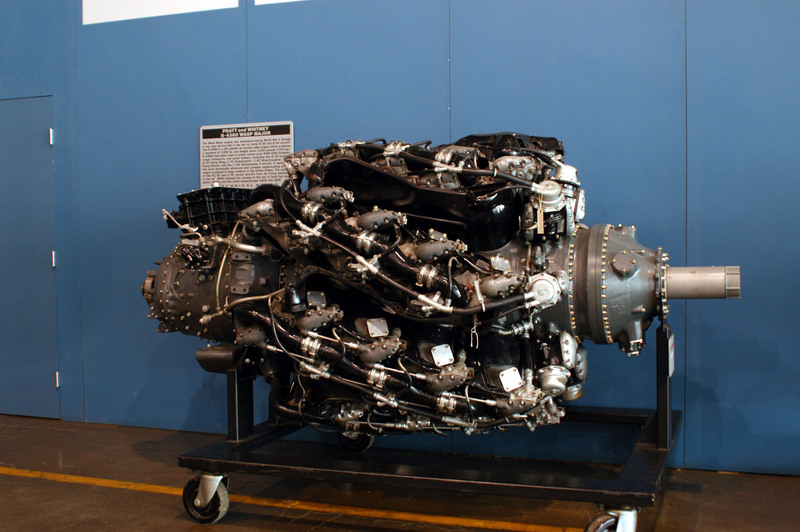 If you have ever piloted a piston engine aircraft, you know that—on most such aircraft—each cylinder has two spark plugs—this is redundancy to ensure the engine continues to run if one spark plug or one ignition system fails. Now, do the math: 28 cylinders mean 56 spark plugs per engine. With six engines, that is 168 cylinders and a total 336 spark plugs. Each engine delivered 3,800 horsepower during takeoff, but they did not produce quite enough power to lift the aircraft quickly enough at its 410,000-pound (205-ton) maximum weight, so four turbojet engines were also mounted on pylons under the wings. It was the job of the flight engineer to monitor and manage the function of these engines, allowing the pilots to concentrate on flying the aircraft and completing the assigned mission. A total of 380 B-36s were delivered; only four examples remain intact. 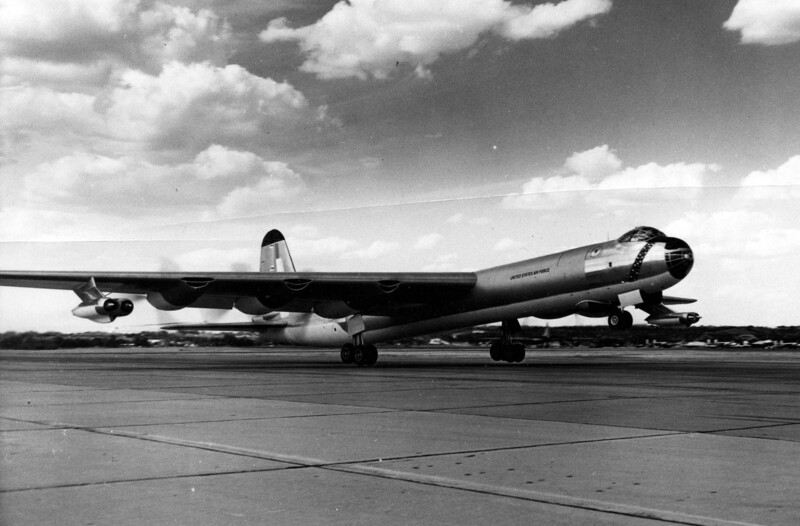 The B-36 was replaced by the all jet Boeing B-52. The flight of this B-36 to the USAF museum was the last B-36 flight. It is difficult to capture a photo of the entire aircraft. Perhaps, at least for me, the most interesting collection is found in the Research and Development Gallery, next door to the Presidential Gallery. 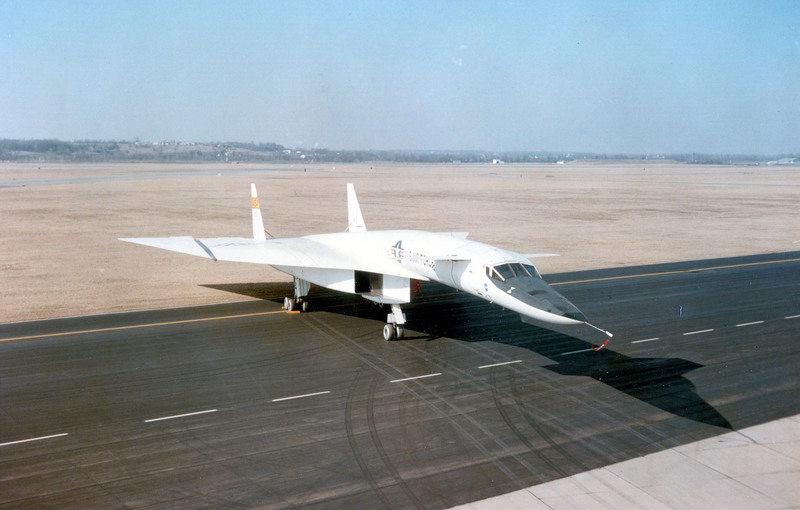 Here are more than 40 aircraft that were used to explore the limits of manned flight including developmental models of the Lockheed YF-12A (predecessor to the SR-71—the world’s fasted manned aircraft), the one remaining supersonic XB-70 Valkyrie bomber and the Bell X-1B rocket plane. In addition to the aircraft there are missiles and developmental engines. 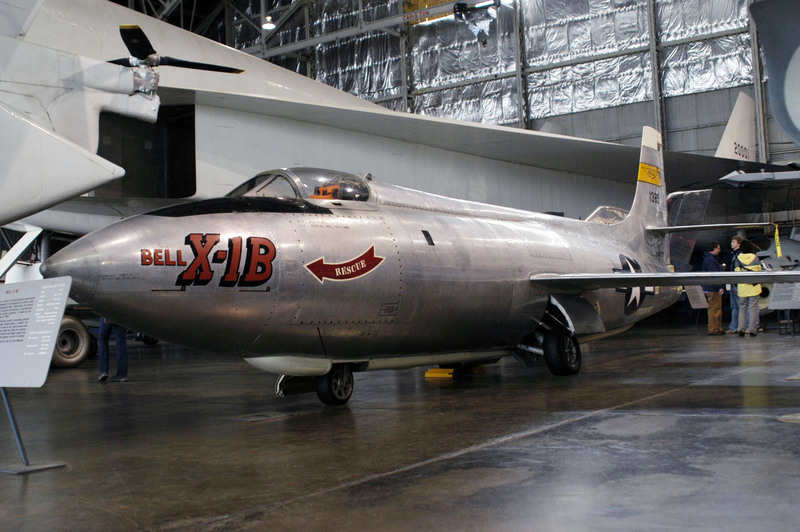 The Bell X-1B, an aircraft similar to the “Glamorous Glennis,” in which pilot Chuck Yeager exceeded the speed of sound (Mach 1) on October 14, 1947. The one drawback to viewing this collection is the relatively small hanger space. It is nearly impossible to get a clear view of any one aircraft without another aircraft obscuring at least part of the view. The planned expansion will greatly improve viewing this impressive collection. Still, it is an awesome feeling to walk under the Valkyrie and experience the huge expanse of aircraft that leads into its massive engines. The Valkyrie’s tail is only inches from the back wall of the hangar, and the tip of the nose nearly touches the front of the hangar. It is hard to imagine that this aircraft could achieve speeds in excess of 2,000 mph (Mach 3.0). This collection includes a broad range of aircraft demonstrating many different aspects of flight operations, including vertical takeoff and landing vehicles, gyrocopters, and advanced fly-by-wire computer controlled high performance aircraft. Some of these aircraft were eventually developed into operational aircraft, while most remained test aircraft. But each aircraft in the collection provided new insights into aerodynamics, crew performance, and systems that have enhanced the performance of modern aircraft now flying. There is an informative placard by each aircraft that describes its purpose, performance, and highlights of its operation. The National Museum of the U.S. Air Force is not just for aviation enthusiasts—it provides a strong lesson in what was needed to help keep the United States and the Free World free. The history of military aviation closely mirrors the history of the 20th Century. It demonstrates that aviation science grew and responded to the needs of the country, and it also documents the role of airman who flew and maintained these marvelous machines. In my opinion, it is a “must-see” experience for everyone, and the price is right—admission is free and the museum is open every day except Thanksgiving, Christmas and New Year’s Day. Arrive early and plan to spend the day. Also, first sign up for the buses to the Presidential and Research and Development Collections; these seats tend to fill up quickly on busy days. There is a reasonably priced cafeteria on the upper level above the museum entrance, and a large gift shop for those essential souvenirs and a huge selection of books. Note that the Air Force Museum is owned, operated, and financed by the private (non-government funded) Air Force Museum Foundation, Inc. The National Museum of the U.S. Air Force is not just about airplanes—it is about the history of the 20th Century of the United States and the Free World. Too big to cover completely, Not Just an Airplane Museum – A National History Lesson describes one airplane and and the Research and Development collection are a small but impressive part of the 360 aircraft on display in Dayton, Ohio—and admission is free! Not Just an Airplane Museum – A National History Lesson; this article describes one airplane and the Research and Development collection in the National Museum of the U.S. Air Force. This is just a glimpse of the 360 aircraft and vast collateral on display in Dayton, Ohio. 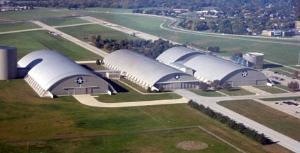 This entry was posted in Renaissance Bucket List and tagged Air Force Museum, B-36, Dayton, museum, Peacemaker, Valkyrie, wright patterson, X-1B, XB-70. Bookmark the permalink.